It’s mid-January, the time some people call the “doldrums,” a period of feeling low energy and a lack of motivation after the Christmas and New Year season of celebration and parties. It can be brought on by putting the holiday decorations away, facing a blank engagement calendar or taking down the Christmas tree. So, it’s at this time of year that I like to remember that there is a real land of conifers, evergreens and Christmas-type landscapes that circles the Earth and that always remains, year-round. And it has a wonderful-sounding name: taiga. The taiga, also known as the boreal (of, relating to, or located in northern regions) forest, is the world’s largest terrestrial biome. Occupying about 17 percent of Earth’s land surface, the taiga is located near the top of the world—between 50 degrees latitude north and the Arctic Circle—just below the tundra biome and above the temperate forest biome. In North America, it covers most of inland Alaska and Canada, as well as parts of the extreme northern continental United States (northern Minnesota through the Upper Peninsula of Michigan to Upstate New York and northern New England). In Eurasia, it covers most of Finland, Norway and Sweden, some lowland/coastal areas of Iceland, much of Russia and areas of northern Kazakhstan, northern Mongolia and northern Japan (on the island of Hokkaido). But like so many of our tree-filled landscapes, the taiga, too, could fall victim to human excesses. 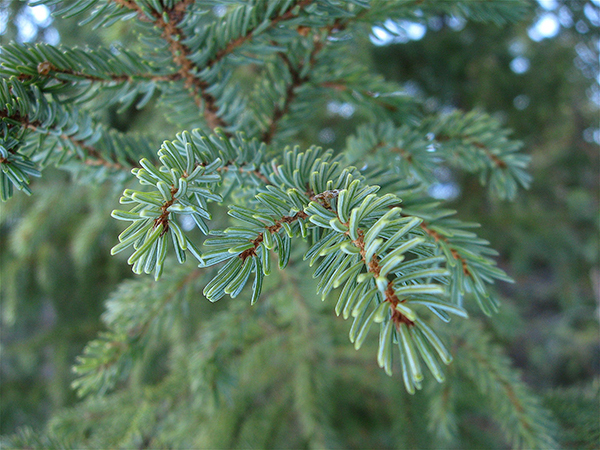 The “leaves” of conifers are needles. Needles are better than leaves at retaining water, surviving harsh winters, withstanding wind and resisting the mouths of tree-harming insects. The taiga and tundra represent the two coldest land biomes on the planet. But they differ in precipitation levels and temperatures, and the tundra has permafrost (soil that stays frozen year-round), which the taiga lacks. While there is frost and ice in the tundra, there is very little precipitation; less than four inches per year. In contrast, the taiga sees precipitation, mostly in the form of snowfall, which can total over 80 inches a year. This means that the taiga is a wet biome with plenty of available moisture; in some places, even boggy. In contrast, the tundra is desertlike; the soil stays frozen and dry. Over the course of a year, the temperature in the taiga averages between 41 degrees Fahrenheit and 23 degrees Fahrenheit. In the tundra, the average temperature is below 23 degrees Fahrenheit. As you go north, there are fewer warm days per year, and permafrost begins to develop. In the taiga, the soil may freeze during winter, but the summer months are warm enough for the soil to thaw. 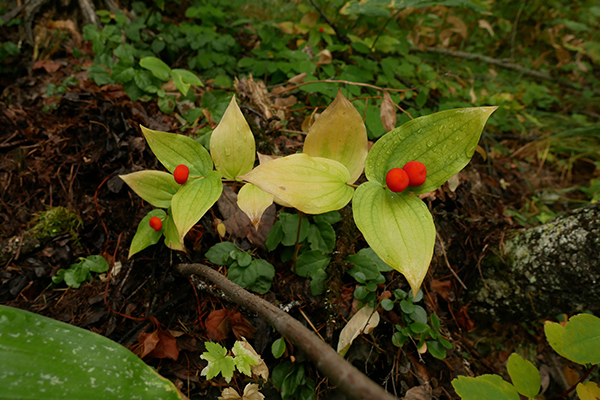 In the taiga understory, some berry plants grow, such as this one in the Okanagan, a region in the Canadian province of British Columbia. The most striking visual difference between taiga and tundra landscapes is the presence of trees, the kind we associate with Christmas and wreaths. While the taiga has a thick forest of conifers—such as cedar, fir, pine and spruce—in the tundra, trees are completely absent, due to the scarcity of available water and the great difficulty trees have growing stable roots in frozen ground. These precipitation and temperature factors cause sharp differences between the plants and animals of the two biomes, as well. While both the tundra and taiga have lichens and mosses, many grasses and wildflowers grow in the tundra that are less common in the taiga. The soil in the taiga is highly acidic and low in nitrogen, making growth difficult for plants that are not adapted to the environment. Plants in the taiga—such as berry-producing shrubs, ferns, pitcher plants and sedges—have more in common with those found in bogs and swamps than in temperate forests. Both the taiga and tundra include mammals and birds; and bears, foxes, hares, rodents and wolves are common in each. However, the specific species of these animals vary between taiga and tundra. For example, deer and moose live in the taiga, while reindeer are more common in the tundra. Polar bears call the tundra home; while grizzlies live in the taiga. Fly- and nut-eating songbirds, such as jays and woodpeckers, share the trees with carnivorous owls that eat small mammals in the taiga. In contrast, the birds of the tundra are largely migratory seabirds, such as gulls, loons and terns. 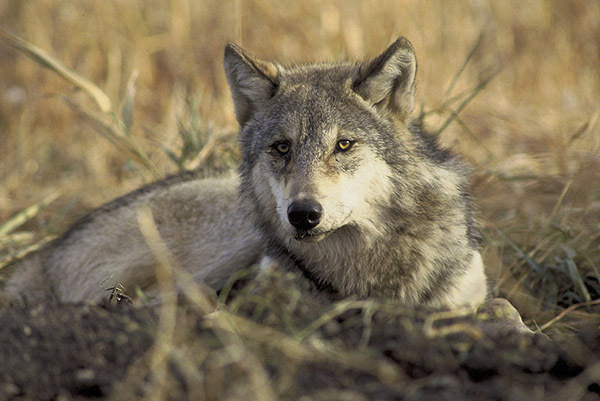 Predators that live in the taiga biome include Cooper’s hawks, wolverines, wolves and lynx, such as the one above. Unfortunately, taiga forests are endangered and shrinking, mostly due to human activity and climate change. Clear-cutting is still a threat in the taiga. Harvesting all the trees in a designated area destroys habitats for many animals and makes it difficult for new trees to grow. The risk of flooding and erosion is increased by clear-cutting; for without a root system to anchor it, a taiga’s soil can be blown away by the wind or worn down by rain or snow. 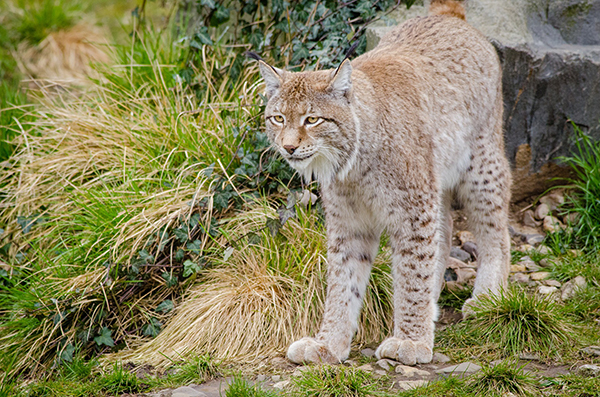 Warming temperatures due to climate change are shifting animal habitats. Native species are pushed out of their home territories, which then attract non-native species. Taiga animals such as the Siberian tiger are not adapted to warm weather. Their coats are too heavy, and they store too much body fat to thrive in a temperate habitat. 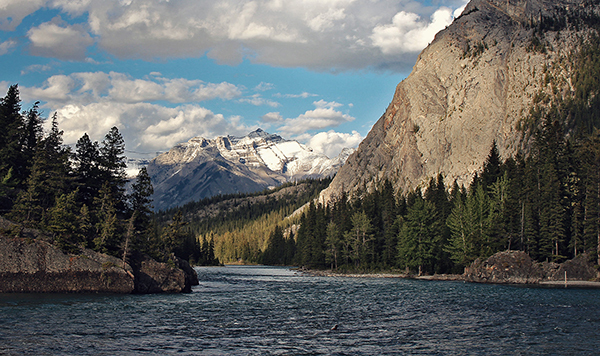 Non-native insects, such as bark beetles, have begun infesting trees, such as spruce. Millions of these insects bore into the bark, lay eggs and cause the infested trees to die. Bark beetle infestations can kill entire forests and thousands of hectares of taiga. It may be mid-January. But in this dark time, we can perhaps take some measure of delight and hope in the light of knowing that a northern land of evergreens still circumscribes the Earth all year long, and that this real land will always be within reach, if we care enough to keep it. The early year “doldrums?” Ah, if you only knew……….